Boom! The Guilderland shop drops not only the highest score of the entire first round this year (DeFazio's sausage pie had the second highest score, a 78) -- it posts the highest score in the modern, 100-point scale era of the TOP. 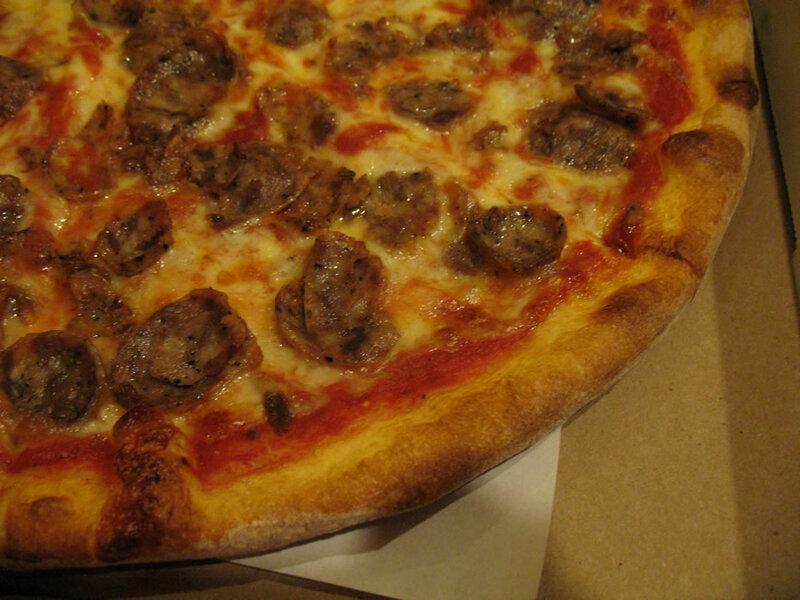 Pasquale's 2009 sausage pie had held the record, at 80 points. The judges were big fans of Marisa's crisp, thin, "awesome" crust -- "super thin and flavorful, no sogginess," "good lift and chew." Its "sweet, bright" sauce had "great" color -- though a few judges thought it was a bit lacking in flavor. Ratings on the sausage ranged from good to very good -- one judge declared it "perfect" and another called it their "ideal sausage -- big, thick, sweet." Other judges noted its flavor of black pepper, and scored it down just a bit for having a spongy texture. Concluding comments: "This is what a sausage slice should be," "Solid NY style slice," "One of the best pies to eat at home." The Fountain is a longtime favorite in Albany's New Scotland/Helderberg neighborhood. 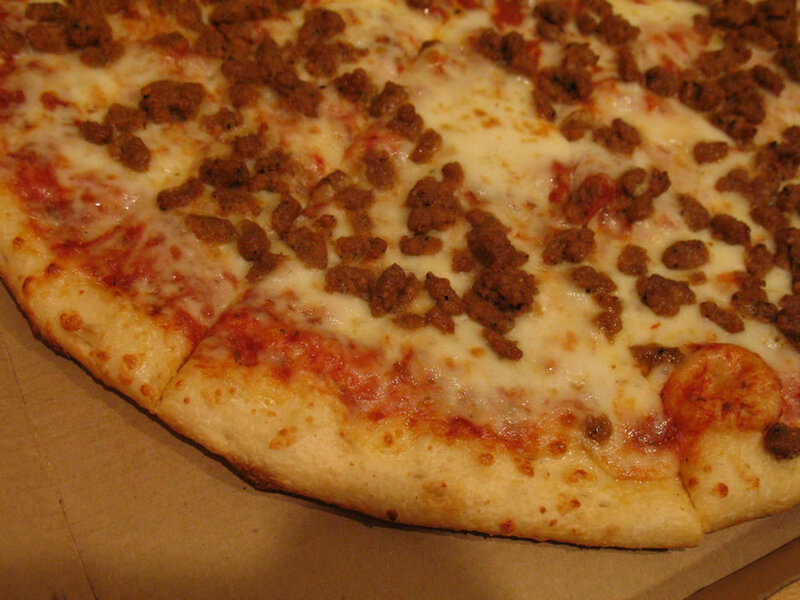 But in years past, tavern-style pizza has not fared well in the TOP. Yet The Fountain turned out a pie this year that not only looked good -- it also scored well. 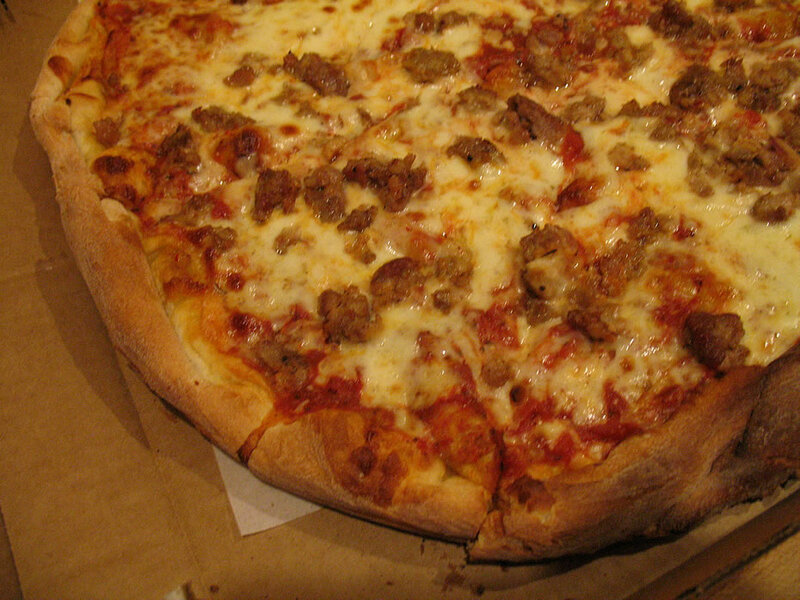 One judge called the "bar style" crust "buttery, garlicky." Other judges praised its crispy outside, and noted a fluffy, soft underside. The sauce was described as "thick" and "rich." The sliced sausage was called "hot and assertive" and "well integrated" with the cheese, which itself had a "slight char that tastes great" (though some judges noted its texture was a bit rubbery). Concluded one judge: "A very good pub-style slice." Said another: "Good for soaking up drinks." This downtown Albany shop did well last year, advancing to the second round -- it even bested Marisa's in the opening cheese pizza round. But its pizza this year didn't light up the judges. They liked the flavor of the crust, but dinged it for being too thick and too chewy. And the "tangy, sour" sauce was deemed a little "thin." But what really held back the pie was the toppings. The judges said the ground sausage was "gristly" and the cheese "unpleasantly funky." 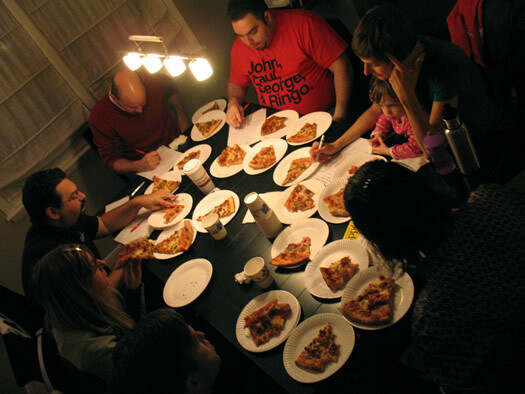 Concluded one judge of the Sapienza's heavy slice: "Good crust brought down by bad topping." And the mystery entry in this bracket is... CiCi's. Known for its all-you-can-eat pizza buffet, the Wolf Road chain appears to prioritize price above all else -- it was just a little over $10 for two pizzas, an absurdly cheap price. As for quality... well... uhhh. The crust was described as "gummy" and "industrial." The sauce "tastes like it came from a can." 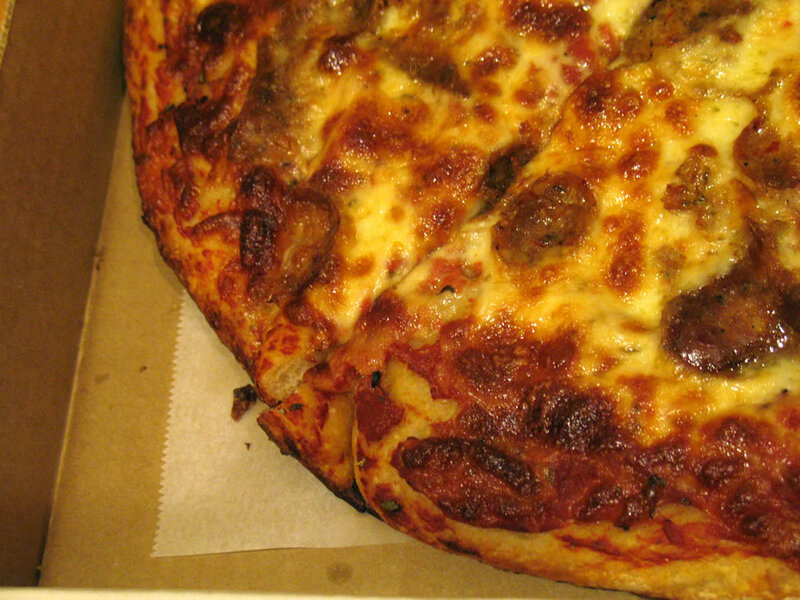 The sausage was called "mushy" and "unappealingly peppery," the cheese "pasty." One of the concluding comments included the phrase "pile of goo." But one positive comment: "This would be awesome drunk food." The Fountain represents for taverns, and it advances with Marisa's Place. They'll face each other in Round 2. Next week: Round 2 opens with a stop back in Saratoga. I see the scoreboard reveals Cici's even before reading the review of it. An oversight, or just tired to actually trying to make us think it was a really good place? I LOVE that the mystery entry was Cici's, of all places. But it is clear that I have to try me some Marisa's, despite my bias toward the Fountain. I'm just glad they managed to see round 2 this time! Marisa's and the Fountain! Two of my favorites in town. I hope Marisa's takes the whole tournament! Yay! The drunk food comment about Cici's made me chuckle. There is definitely a place for that in the world.